How many times have you had a few drinks and joked that you were going to sleep like a baby? It is a common misconception that alcohol helps you sleep. You might be saying, “I always fall asleep faster after I drink!” Well, this is likely true. Alcohol does relax you, so you drift away to dreamland quickly, but it definitely does not promote quality sleep or leave you feeling refreshed in the morning. Plus, it worsens snoring symptoms. Another negative effect of alcohol is forgetting to put your zQuiet snore mouth guard in before going to bed. The first thing to understand is that a normal sleep process includes rapid eye movement (REM) and non-rapid eye movement (NREM) sleep stages. During NREM the body moves, but brain activity is slowed. Pulse rates and blood pressure remain steady. When you move into REM, your sleep cycle is deeper and there is minimal voluntary muscle movement. Alcohol is proven to disturb sleep. You fall asleep faster, but you stay in the NREM cycle longer. The more alcohol you consume, the longer amount of time you stay in this cycle. Since you don’t get enough REM sleep, you wake up feeling fatigued. Your body never has a chance to fully recharge, even if you do sleep in. Also, people generally experience more awakenings through the night, after drinking alcohol. As you likely know, there are many benefits of a healthy diet. Alcohol is a depressant. Sure, you may be happy and dancing on the tables after a few shots of tequila, but it has a sedative effect on the body. It slows the brain and causes muscles to relax more than usual. This may seem like a good thing, but to a snorer, it’s definitely not. This sedative effect causes the back of the throat to fold significantly faster than it would in a sober person. This collapse is one of the key contributors to snoring. Interestingly, even if you don’t generally suffer from obstructive sleep apnea (OSA), a snorer is at greater risk for being affected by the condition, after a night of drinking. OSA occurs when you stop breathing temporarily because airflow is blocked (which is why some people use anti snoring devices). Your body responds by gasping for air. This disrupts your sleep cycle. Alcohol suppresses breathing, decreases oxygen levels, and damages tissues. 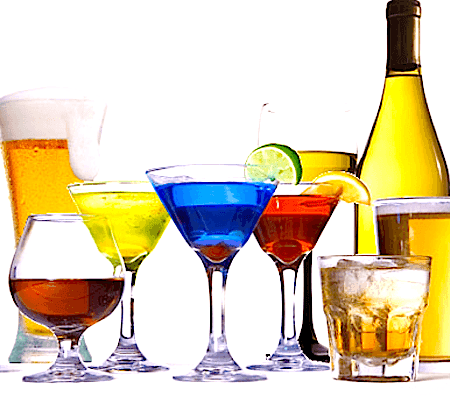 The liver metabolizes alcohol fast, but the byproducts remain in the bloodstream for quite some time. These byproducts combined with poor sleep quality results in a hangover. Snoring is your body’s way of dealing with the sedative effect alcohol has on your muscles. It is your body’s way of working harder to pull adequate oxygen into your system.